Please remember that P7 Transfer interviews will be held on Monday 3rd February 2014 during the school day with Mrs Smyth. Times have already been given to P7 parents. Team members will be playing on Thursday 23rd January 2014. Mrs Smyth will send a text to parents of those pupils involved with the details. Farmhouse Breakfast Week takes place from Monday 27th January to Friday 30th January 2014. Our school kitchen will be promoting healthy breakfasts at Breaktime all of next week. Pupils will be able to purchase apple muffins (30p), porridge pots (40p) and fresh fruit and yoghurt(40p). Normal Break Club items will still be on sale next week. 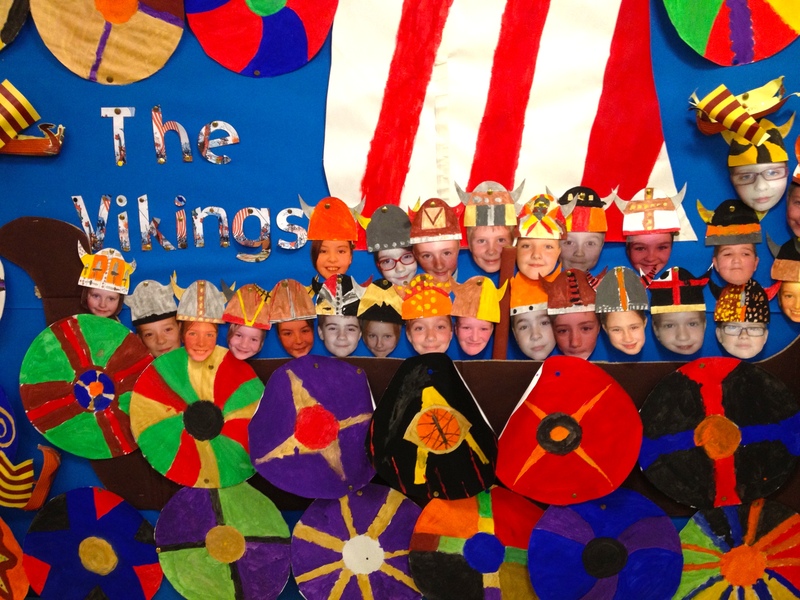 Primary 5 have been learning lots about the Vikings! Here is part of our Vikings display!